The results are in — Salesforce technology is helping nonprofits accelerate their missions! 30% faster idea sourcing; 45% faster collaboration; 45% faster decision making; 53% improvement in data quality; 57% faster response; and 63% improvement in operational effectiveness. 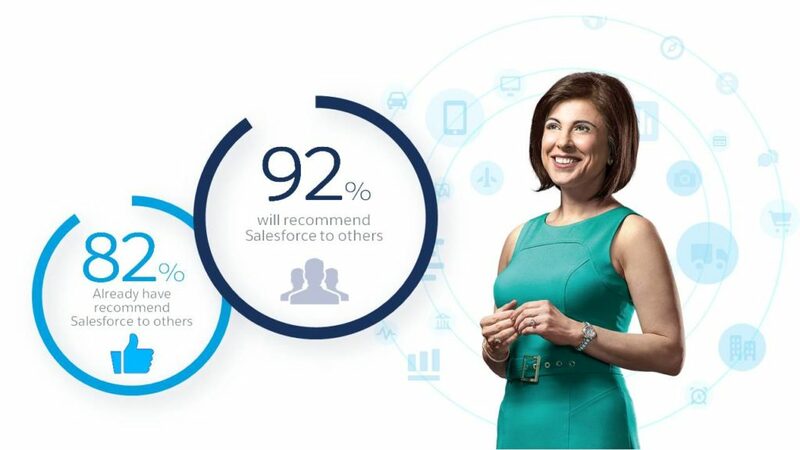 Moreover, 92% report that they would recommend Salesforce.org and in fact, 82% already have recommended Salesforce.org. Below are the average percentage improvements reported by Salesforce.org nonprofit and education customers in more specific areas. Interested in learning more? Join us in October at Dreamforce, the world’s largest nonprofit conference and hear directly from our customers as they showcase their innovative uses of Salesforce to tackle some of the worlds most difficult problems.